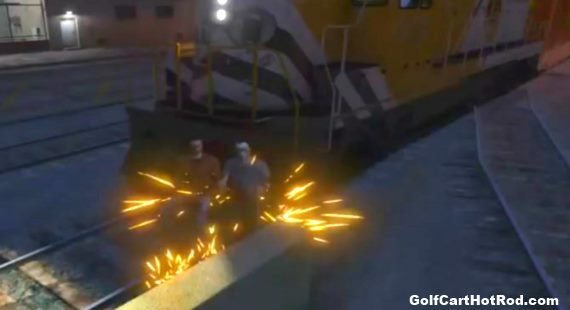 Funny golf cart crash video someone made from a GTA 5 let’s play capture. The golf cart gets run over repeatedly until it eventually blows up. The vid has some great audio play by play included.